If I am not mistaken, I think that Babes on Calle 10 was one of the very first restaurants we ate in before we moved to Playa del Carmen six years ago. It came with high praise on the local message board, www.playa.info, and with good reason. Since opening the restaurant in 2000, the owners, originally from Sweden, have put every ounce of their energy, creativity and enthusiasm into the restaurant, its design and its menu. 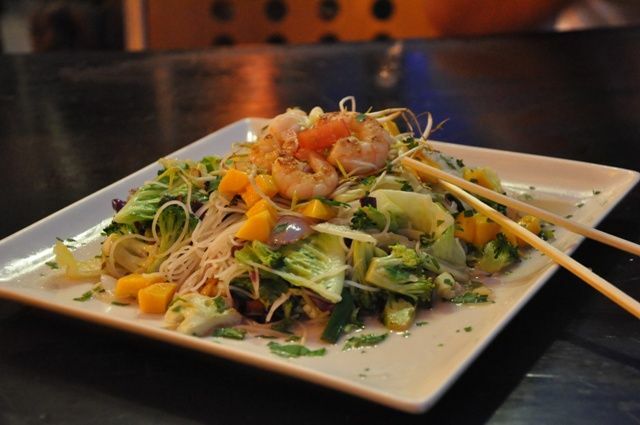 The food can be best described as Euro-Thai Fusion and includes a large selection of vegetarian options. 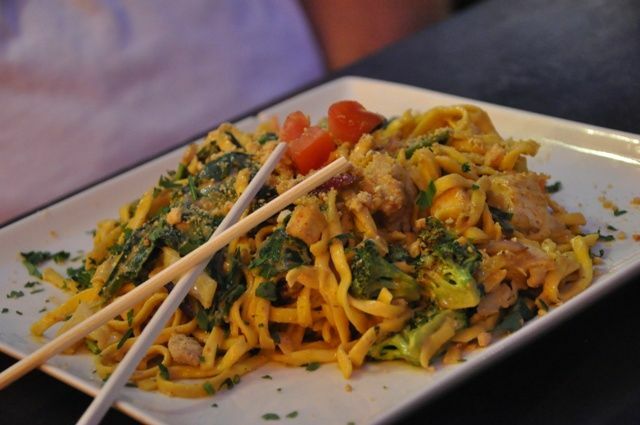 As the name suggests, there are quite a few noodle dishes featured such as the Pad Thai and Tom Kha Gai soup. The curries are also popular and can be served over noodles or jasmine rice. Paying homage to their heritage, Per and Lena have also included their famous Swedish meatballs on the menu, a favorite of my husband. Here we are, six years later and still coming to Babes, now in two locations, for great food. Owners, Per and Lena have become friends and we are so happy for their success. Last night, Rob and I stopped in to the Babes in Little Italy for a quick dinner. We split the crispy Crab Rolls as an appetizer and moved on to the Thai Chicken Noodles and the Vietnamese Shrimp Salad. As always, everything was fresh and flavorful. It's such a great place to sit and watch the people stroll up and down 5th Avenue and enjoy a meal. If this interior does not scream Per and Lena, I don't know what does. Babes Noodles and Bar can be found on calle 10 between 5th and 10th and on 5th Avenue between calles 28 and 30. I am pleased to report that Babes will be participating once again in the annual culinary festival, Taste of Playa on November 21, 2010. 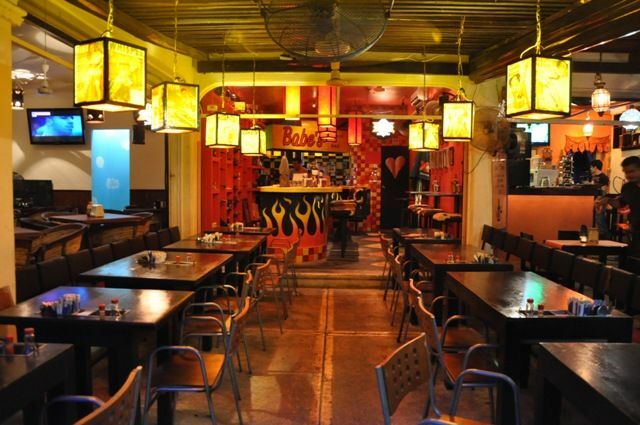 Babe's is one of our favorite regular eateries in Playa del Carmen. Great writeup! Love Babes! Great job on those food pics Michele. 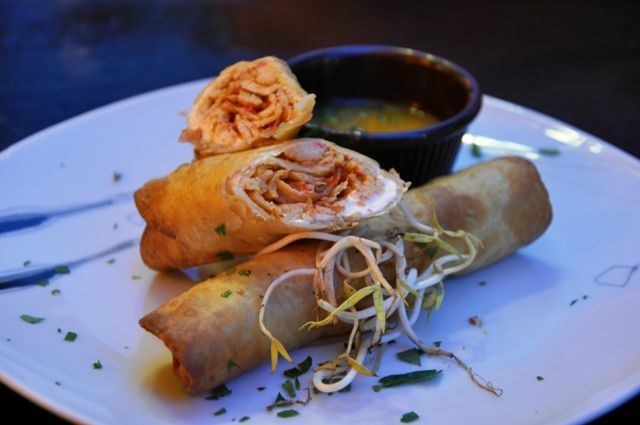 Those crab rolls with mango sauce sound AMAZING! I'm gonna go check out this Taste of Playa thing... sounds like a great event. 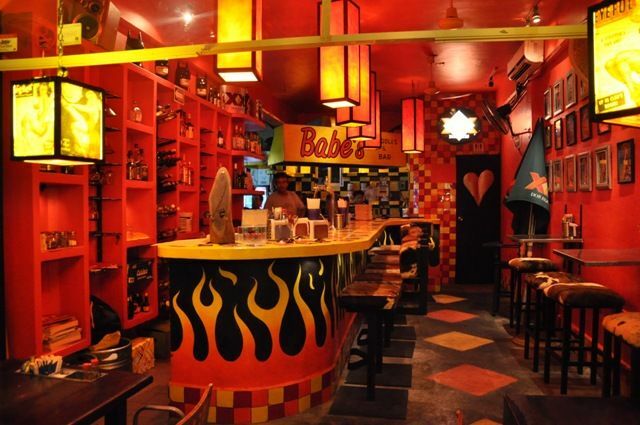 Babes has truly become one of the most recognizable and best loved restaurants in Playa. we are delighted that they signed up again for Taste of Playa 2010. All of their rolls are delicious. I hope they serve some of them this year at the festival! Thursday, September 09, 2010 11:45 AM by "Life's a Beach"